Our boat's name 'Ngahue' is a pointer to my far-back New Zealand/Kiwi origins. Ngahue was a Maori navigator... it's as simple as that! There are several versions of the story of Ngahue, an intrepid navigator in Maori mythology. Because Maori stories were passed down verbally, from generation to generation, from tribe to tribe, differences in the accounts of Ngahue's adventures have crept in. Depending on the tribes and areas of New Zealand that you look to, variations on a theme are quite common, but the main thrust remains the same - he is one of the discoverers of Ao Tea Roa, land of the long white cloud, alongside Kupe. In some instances, the name Ngahue can become Ngake. In our preferred version (and apologies if some of my European romanticism has crept in here), Ngahue was the travel-companion of Kupe. Both were intrepid Polynesian navigators, who set off from Hawaiki the original homeland of New Zealand's Maori settlers and discovered Ao Tea Roa (or Aotea-roa). 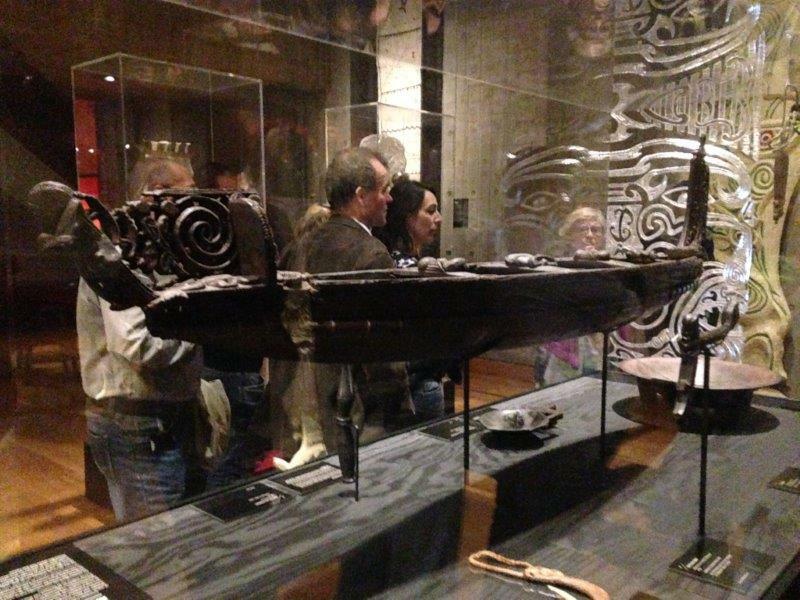 Certainly until the 1960s, it was generally thought this great migration (also known as the Great Fleet Migration) took place around 1250 to 1300 A.D.: Kupe sailing in his canoe the Matahorua, and Ngahue in his canoe the Tawirirangi. They led these expeditions of the "Vikings of the Sunrise" (as Sir Peter H. Buck refers to the early Maori navigators and seafarers to New Zealand). Having once upon a time trained as a historian at the University of London, it is interesting and not unsurprising to see that as more research is done into where the various Polynesian peoples came from, the history of Ngahue takes on other dimensions. Ethnologist David Simmons for instance, or historian Andrew Sharp completely demolished the Great Fleet theory, arguing that much of the 19th century evidence collected by the Victorians was fabricated or re-arranged to fit a given theory. Improved carbon dating subsequently put first Maori settlers in New Zealand in the 9th century, and moved Kupe to around 750 A.D. So, the relatively simple story of Ngahue that I read more than 30 years ago (and when I decided to name my first HR29 after him) and learned in school in Auckland in the 1960s has since become more complicated, or dare I say convoluted. In summary, I'll stick to the belief that Ngahue is an intrepid Maori navigator who has continuously inspired me in my own more restricted attempts at (long distance) navigation. As an adjective, ngahue also means 'to arrive with spray', if I remember correctly from the Maori dictionary, that I consulted many years ago at the NZ embassy in Brussels in the 1980s. For those early days of Ngahue, my Hallberg-Rassy 29, this was a most apt description of the conditions in which man and boat sailed. Pictured here is the baptism of the Maori chieftain Te Ngahue in a print that I spotted on the Internet. As the baptism took place at the time of this great warrior's death, the scene looks a very placid and touching affair, despite the fact that Te Ngahue was a much feared and ferocious leader who reputedly ate the flesh of his defeated opponents in his younger days! This should not come as a great surprise, because cannibalism was quite de rigueur with the Maori fighters. Above, Ngahue IV can be seen on her first trip under our ownership having exited the Kiel Canal and berthed in Cuxhaven. This was after leaving the Knierim boatyard in Kiel where she had spent the winter 2015/16. We motored all the way down to Brunsbüttel at the end of the Kiel Canal, transited the locks, and crossed the Elbe estuary to spend some time in Cuxhaven. Our trip subsequently took us to the North Sea coastal island of Nordeney, (where we successfully, though ever so gently, ran aground at Low Water) and from there in one go down to Nieuwpoort - Belgium (see photo below). We consider Nieuwpoort's Novus Portus Euromarina as our "home" marina where we have kept our several Ngahues since April 1993. It was from this home port/marina that we left in July 2017 to commence our circumnavigation. 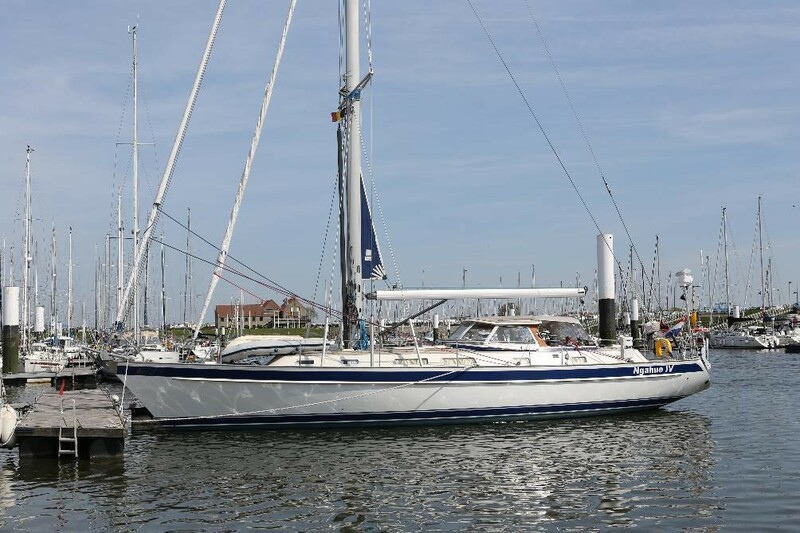 For more information on the VY Nieuwpoort Euromarina (formerly the VVW-Nieuwpoort) follow the link. In all, there are three marinas in Nieuwpoort: the VY Nieuwpoort, the KYCN, and the WSKLuM); all have visitors' facilities, which tend to crowd up in the summer holiday period as sailors from neighouring (northern) countries sail south and return north afterwards.